Process Explorer is one of my favorite utilities. Originally from the collection of software by Systernals, which is now owned by Microsoft. PE is essentially Windows Task Manager on steroids. My favorite use of this utility is for tracking down processes and services that are hiding in or behind some generic Windows process. Process Explorer allows you to break down generic processes like svchost.exe into its individual child-processes. You can also search for a file name you have found suspect to see which process is running it, and selectively kill that portion of the process. This is how I have found root-kit viruses hiding in the recycle bin or restore folders. While you're at the Systernals page, check out the other utilities in the Systernals collection. There are many filetypes we deal with in Windows that are compressed archives, but may not have an extension that tells Windows this. A good example would be an Android .app file. Installers are also usually just archives with some sort of script attached telling the un-archiver where to put everything. Universal Extractor, from Legroom.net is the best way to deal with these files. You can use Universal Extractor as a full Windows application, integrated into the shell, or as a simple drag and drop app. If you choose the latter, there are also portable versions of UE out there if you want to load it up with your USB tools, or add it to a custom PE disk. A full install gives right-click options on almost any file. I first discovered UE when I read an article somewhere on making your own portable apps. This works because UE will unpack many common installers. After unpacking, just put all of the binaries and support DLL's, etc in one directory and try to run. This method does not always work, but for many applications it does. As a day-to-day extractor UE works fine, but I think it is a bit slow for me. Usually for routine extracting I prefer 7zip. If you have ever had to deal with a corrupted Blackberry, you know how frustrating it can be to completely wipe a locked, or non-functioning berry. This application, Blackberry Swiss Army Knife can do things not available in the regular desktop software. BBSAK is a replacement for JL Cmdr, and is a front end for RIM's java loader command line tool, as was JL Cmdr. BBSAK offers backup and restore options, 3rd party app backup, OS loading, factory reset, complete device wipe (leaving you at the 'error 507' screen) for replacing a corrupted OS, read the device logs, create and restore JAD files from CODs, and many more advanced features. Get it here. How many times have you attempted to delete or edit a file in Windows only to be told that it was in use? Or tried to safely eject a drive and refused because something is accessing the drive in question? Unlocker is the answer. A simple application that runs in the system tray, and pops up when it senses an "in-use" dialog. For locked drives, you can right-click the drive in question and get a list of programs that are currently accessing it. You are then given options to unlock the object, or kill the process that is locking it. Unlocker is free to use. The developer asks that if you appreciate his work, you may donate towards its future development. Download here. "Hey, I can't open this video file in Windows Media Player" VLC Media Player! "I get a message that I don't have a DVD decoder installed when I try to play a movie" VLC Media Player! 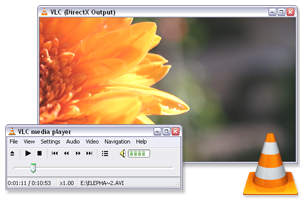 "I'm tired of having 5 media players on my computer" VLC Media Player! "I want a media player that runs on all of my systems, MAC, Windows, and Linux" VLC Media Player! I can't say enough about this program. It plays almost everything you throw at it, and has network-streaming features, remote interface capability. 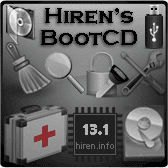 There are installs available for Windows, MAC OS X, Linux, BeOS, and the code can be compiled to run on BSD, Solaris, and QNX. You can find it here. This is one of those programs that I take for granted these days, so I didn't think about posting it here until now, but it is one of the most useful freeware programs I have ever found. 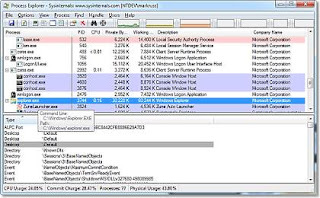 WinDirStat analyzes your hard drive, and displays both graphically and numerically where your largest files and directories are. I just used it on a laptop at work and found a 15 Gigabyte temp file that needed to be deleted! You can remove files right from the GUI and then refresh the display to reflect the removal. It runs well as a portable too, so I keep a copy on my USB drive. Try it here.